The National Green Tribunal has directed all state governments to submit a complete list of wetlands under their jurisdiction after a plea claimed that large areas which are ecologically important are being lost as these have not been notified as protected under law. 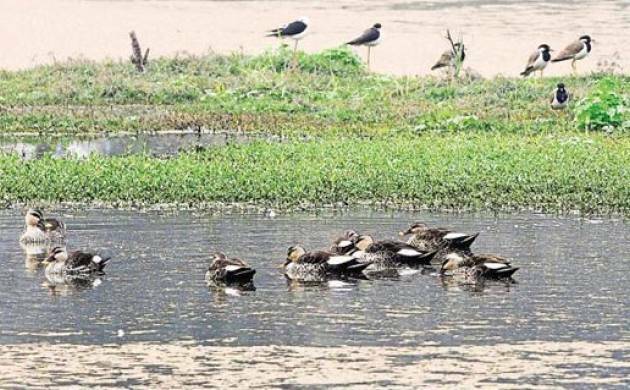 A bench headed by Justice Swatanter Kumar also directed the Ministry of Environment to place on record within two weeks the states which have submitted their plans regarding wetlands. “Counsel appearing for MoEF is directed to place on record within two weeks the status report to the tribunal as to which of the states have submitted their plans for declaration of wetlands in their respective states and which one of them have not submitted. “The details will also be provided of the states who have submitted such proposal but were found to be incomplete and the states have been informed to that effect. Let this status report be filed within two weeks... In the meanwhile, all the states should also submit a complete list of all the wetlands under their jurisdiction,” the bench said. The matter was listed for next hearing on May 19. The tribunal’s direction came on a plea filed by Anand Arya seeking direction to the Centre and Uttar Pradesh government to identify all wetlands within the state as per The Wetlands (Conservation and Management) Rules 2010. The plea had also sought direction “to take action to notify these two wetlands (in Gautam Buddha Nagar) without any further delay and grant an ad interim injunction against interference with these two wetlands till these are notified and protection granted”. According to the plea, the Wetlands (Conservation and Management) Rules 2010 were passed under the Environment Protection Act, 1986, making it mandatory for the government in coordination with the states to identify and notify all Wetlands in the country within a period of two years. It said such wetlands have not been identified and notified in the country as yet. A wetland is a land area that is saturated with water, either permanently or seasonally, and has a distinct ecosystem.